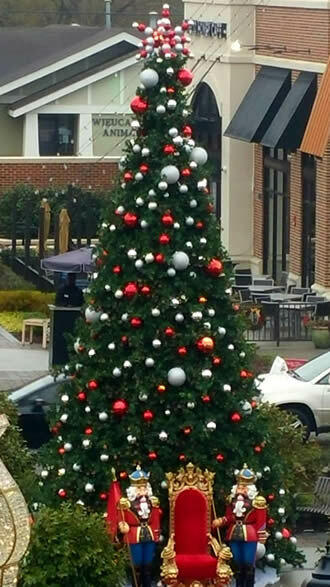 we provide lighting & decorating SERVICES for commercial tower trees in and around atlanta, georgia. 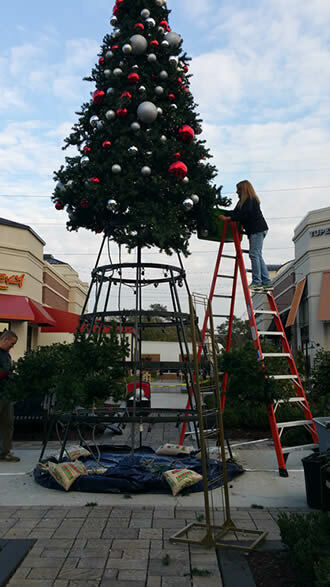 Seasonal Designs has 12 years experience installing commercial tower trees. 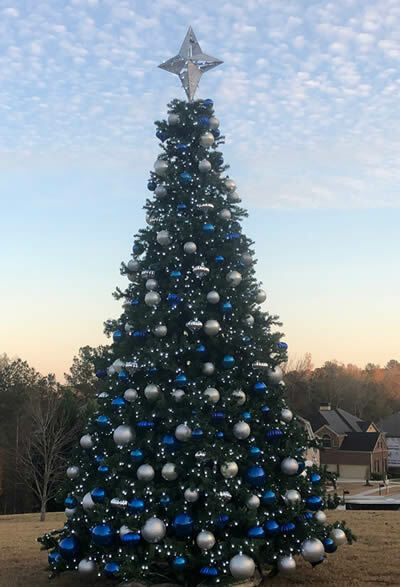 Tree sizes range from 12 ft to 60 ft and have a pewter coated steel frame that you are able to add onto if you would like to grow your tree. This also helps to be able to stay in your budget. 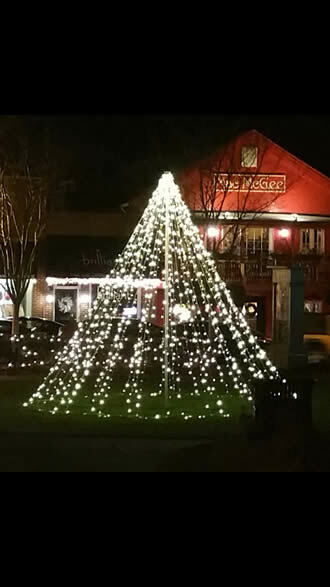 These trees make an amazing statement to people during the christmas holiday, from the festivities to picture taking to putting visitors into the spirit of the season. 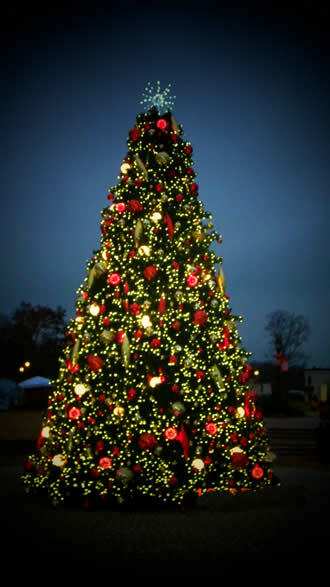 Our trees feature LED Lighting which uses 90% less energy. 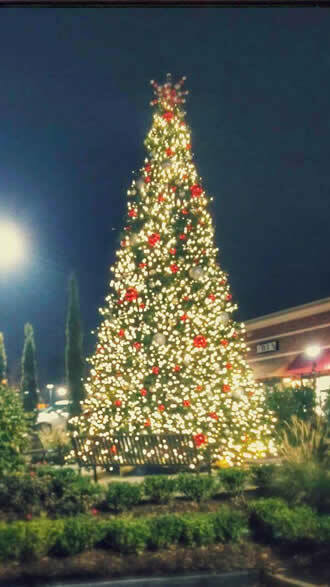 They give off brilliant lighting and color. 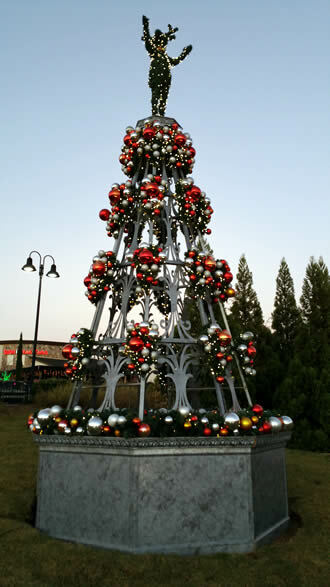 They give your space the sparkling, magical, and professional holiday theme that represents a commanding presence.